I love to not only read our favorite storybooks but to take them one step further and turn them into learning activities for tots and preschoolers. A story that really holds their attention is a great tool that can help them learn in so many ways. 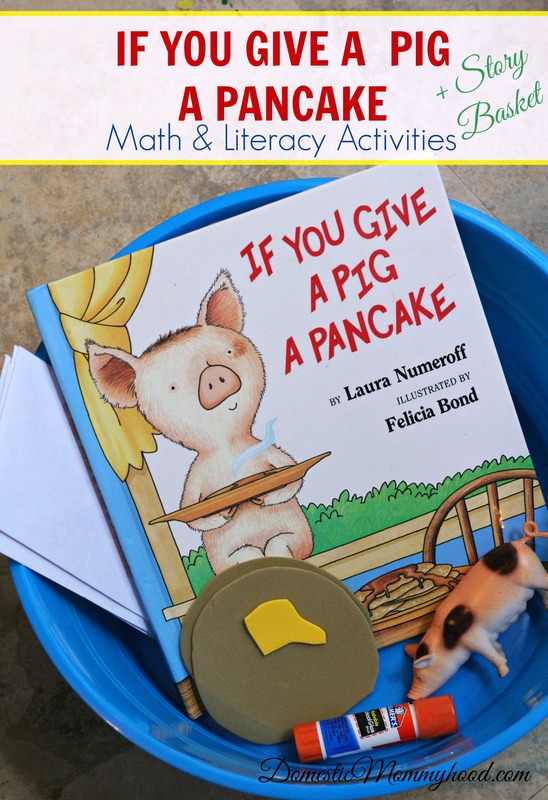 We recently reread “ If You Give a Pig a Pancake” and remembered how much we loved it so I thought I would make a handful of activities to stretch it out some. Ask for 5 pancakes and have your child count them out to you. Roll a dice and stack that many pancakes, continue until someone’s stack falls. Write numbers on 3×5 cards, have your child stack the correct number on each card. Pancake Matching– Cut pancakes as above but use a sharpie to write capital letters on half and lowercase on the other half. Have your child match the correct letters together. 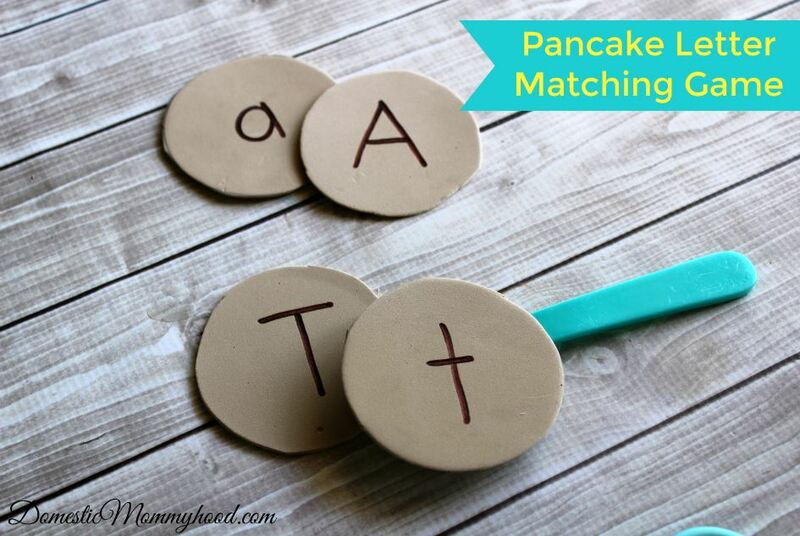 You can also spread them out and call out letters as your child points to the correct letter, make it more fun and challenging by having them pick it up with a small spatula. Finish the word– A great activity for preschoolers and up is to either copy simple words from the story or for you to write the words and omit one or two letters that they fill in. 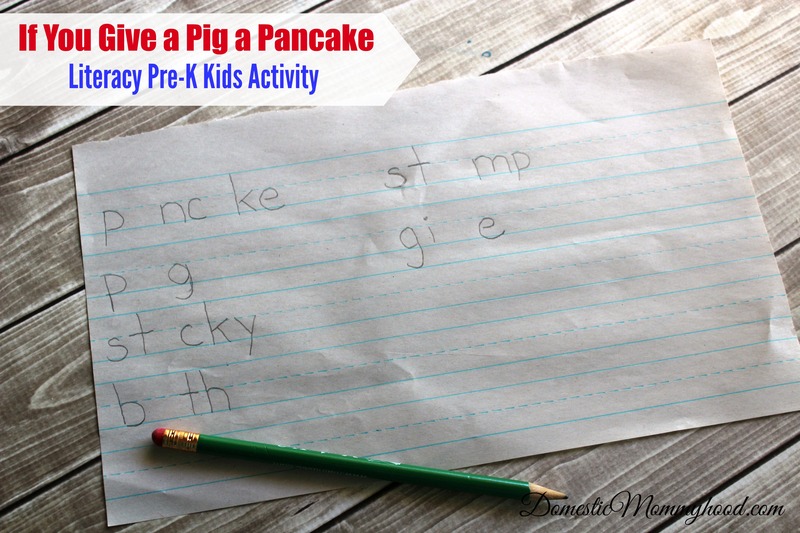 Some good words from the story for this are…pig, pancake,give, syrup, sticky, bath, farm, and stamps. Make pancakes– Recipes are a great way to improve reading skills, learn to follow directions, and also get in some math and science. Little hands naturally build fine motor skills as they measure, mix, and pour. Grab your favorite pancake recipe (or a box mix) and get to mixing with your littles. Of course you can also work in some pancake counting here. 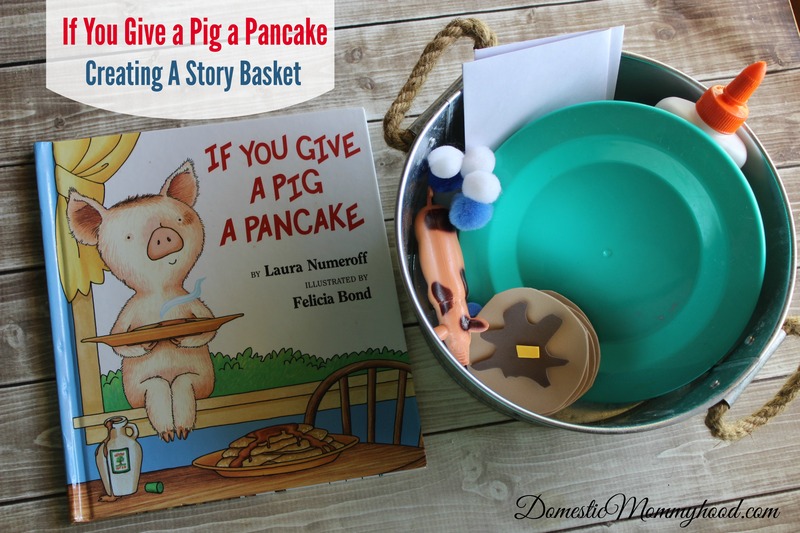 Create a story basket– Gather items from the book -an empty or pretend syrup bottle, a plastic pig, envelopes, stamps, a play plate, a rubber, duck, camera,etc. Place items in a basket or tub along with the book for your child to retell the story in their own words. Check Out These Other Awesome Kids Activities! Rainbow Kids Activities for Learning Fun! What is your child’s favorite Pre-K Kids Activity? ?